Merck KgaA and Pfizer have agreed to co-promote the latter’s lung cancer treatment Xalkori, and form a new alliance that combines their oncology sales organisations. 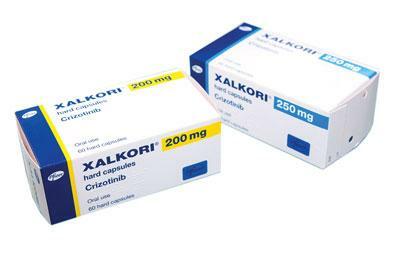 Xalkori (crizotinib) was first approved back in 2011 through the FDA’s accelerated approval programme, and is a kinase inhibitor indicated for the treatment of patients with metastatic non-small cell lung cancer whose tumours are anaplastic lymphoma kinase (ALK)-positive. The drug is approved in the US, Japan and the EU, and is supported by two positive global randomised trials in both first and second-line indications. Under the agreement the inhibitor will be co-promoted across the US, Canada, Japan and five EU countries – France, Germany, Italy, Spain and the UK this year. Then in 2016 campaigns will begin in China and Turkey. Xalkori has seen pricing woes in the past for its owners however. Last year the drug, which costs around £4,689 for a course of a month's treatment, was rejected by NICE who said it was not value for money. A proposed discount via a patient access scheme with the Department of Health was still not enough to change the decision on the drug, which has an average cost of between £37,512 and £46,890 for a full course of treatment. But discussing today’s deal, Dr Andrew Schiermeier who is head of global oncology and the general manager for the alliance for Merck, concludes it could be good for the company's future launches, including non-small cell lung cancer treatment avelumab.